Does it seem odd to you that automakers focus their fuel efficiency efforts on small cars that are already gas misers? Or that electric vehicles (EVs) are cars, just when family buyers are moving towards crossovers? It sure has us scratching our heads. The good news is automakers are finally about to merge the types of vehicles we want to own with green drivetrains. Here is the rundown on the affordable crossovers with a plug on sale now and about to be. PHEV – An electric vehicle is any vehicle that can propel itself on electricity alone and has a plug. Many electric vehicles also have a gasoline hybrid-electric drivetrain that can increase overall range substantially. These are called plug-in hybrid electric vehicles, or PHEVs. They equate to about half of the affordable EVs sold overall. BEVs – Vehicles that operate solely on batteries are called battery electric vehicles, or BEVs. 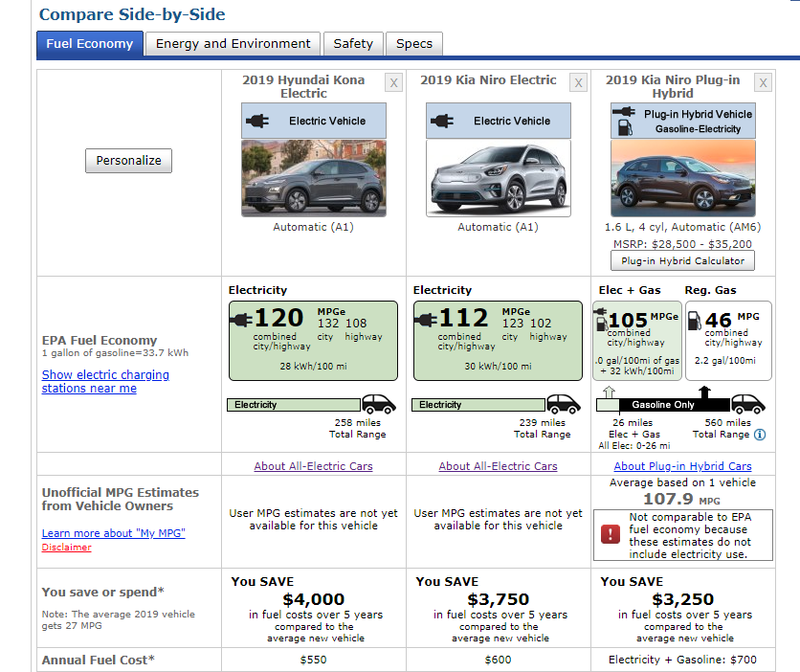 MPGe -A helpful way to estimate the fuel economy of PHEVs and BEVs for comparison to liquid-fuel vehicles. MPGe is used by the EPA in place of MPG for electric vehicles. Crossover – A crossover is a vehicle that combines many of the best features of cars and SUVs. They typically have a unibody construction like a car but have a higher ride height and more ground clearance. 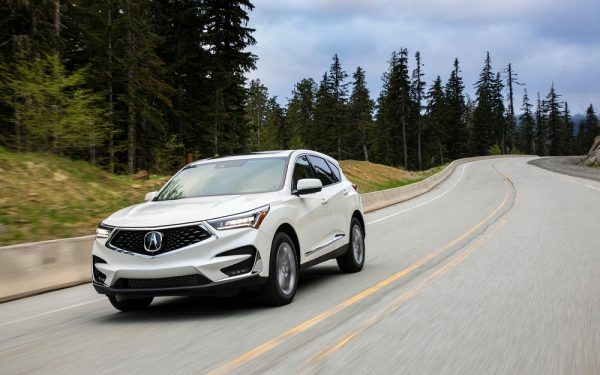 To our way of thinking, they also have at least part-time all-wheel drive, though we understand that in some warmer markets front wheel drive crossovers make sense. 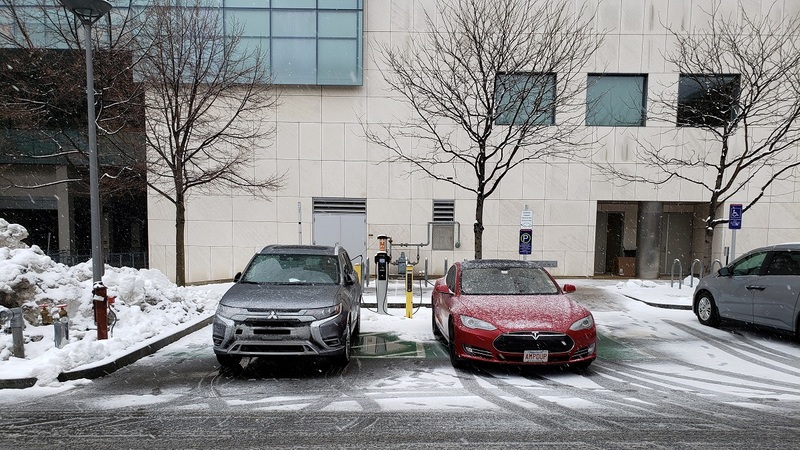 Incentives – There are federal tax incentives, state rebates, dealer discounts, and other EV enticements available to help reduce the cost of EVs. Nobody in America is paying full price for an electric vehicle. We use the Mass. 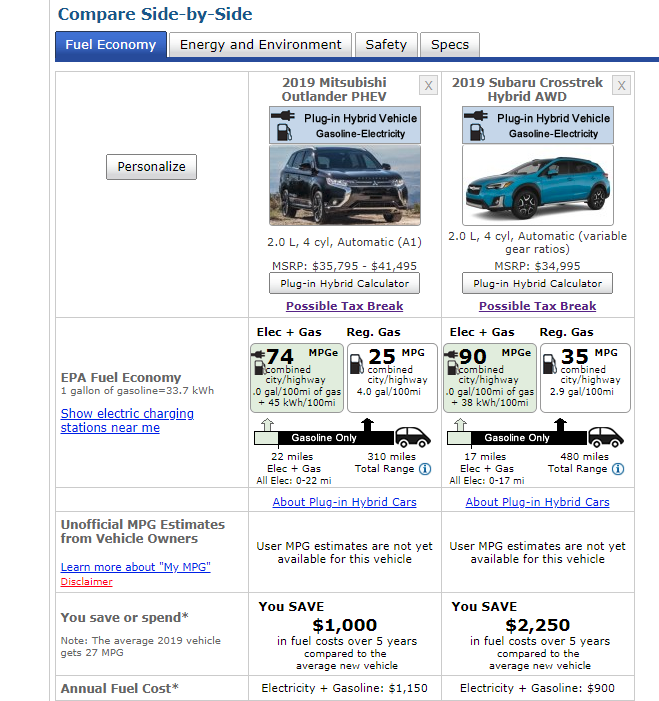 Drivegreen website to get a fair gauge of what these EVs are actually selling for after the incentives are factored in. The Mitsubishi Outlander is a roomy two-row crossover with an all-electric range of 21 miles and a total hybrid range of about 300 miles. We used it to commute from the outer suburbs of Boston/Cambridge into the city using no gas at all. We then hopped in and drove it 5 hours non-stop to pick up a student and a ship-load of stuff from college. The Outlander perfectly exemplifies how one PHEV can take the place of a BEV and a conventional vehicle by serving dual roles. 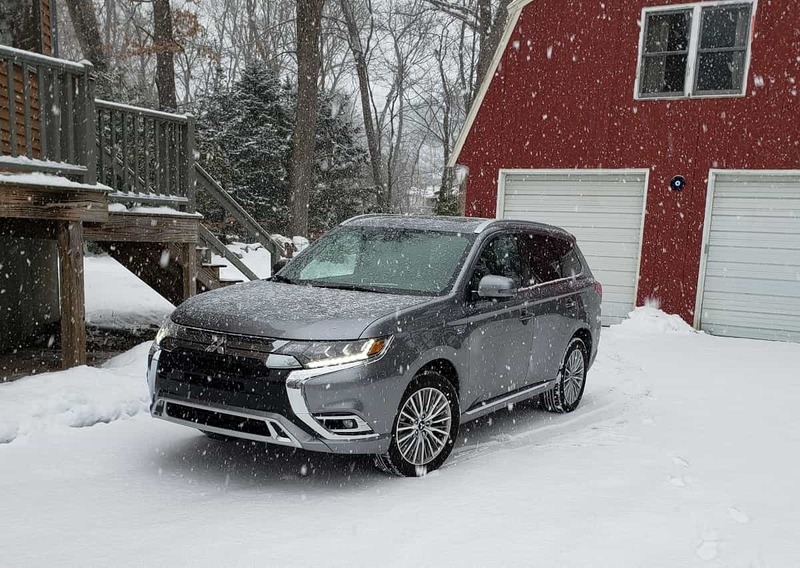 We drove the Outlander PHEV in the snow and its standard all-wheel drive was outstanding. The Outlander is also an IIHS Top Safety Pick. The Subaru Crosstrek is a hot smaller crossover with incredible off-road capabilities. It punches above its weight class in terms of cargo capacity. Smaller than the Outlander, the Crosstrek will appeal to outdoor adventurers. It can travel 17 miles on a charge but has a total hybrid range of over 463 miles. Along with the Outlander PHEV, the Crosstrek offers AWD and all-road and all-weather capability. The Crosstrek is presently offered in limited markets but is expected to expand nationwide soon. The Subaru Crosstrek is a IIHS Top Safety Pick Plus. 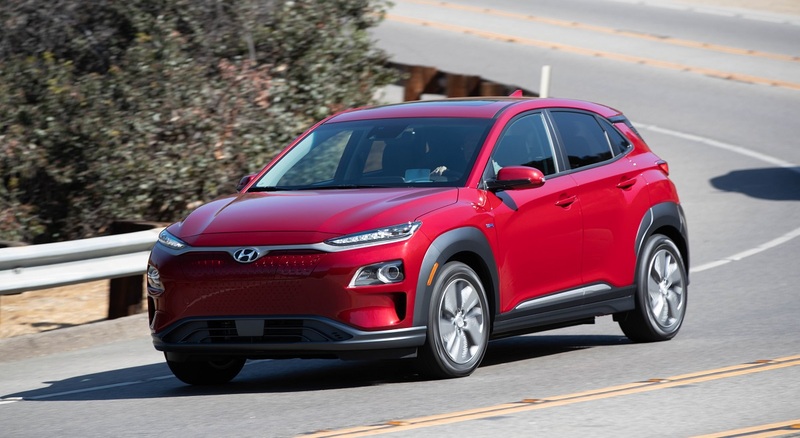 The Hyundai Kona Electric BEV has an impressive all-electric range of 258 miles. 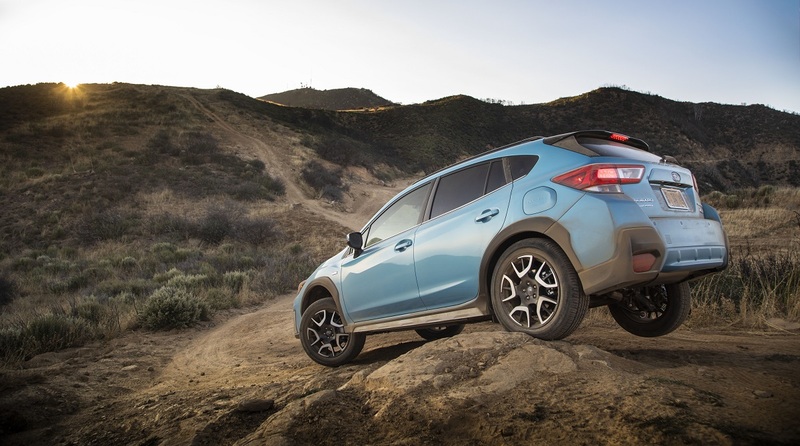 This smaller crossover is one of our favorites in its gasoline versions and we can’t wait to try the EV. The Kona Electric has just hit the market in California, so watch for more information soon. The Kona is an IIHS Top Safety Pick Plus. Unfortunately, Hyundai is only expected to build the Kona in 2WD. Like the Hyundai Kona Electric, these two EVs are 2WD crossovers. Kia builds the Niro in both PHEV and BEV versions. 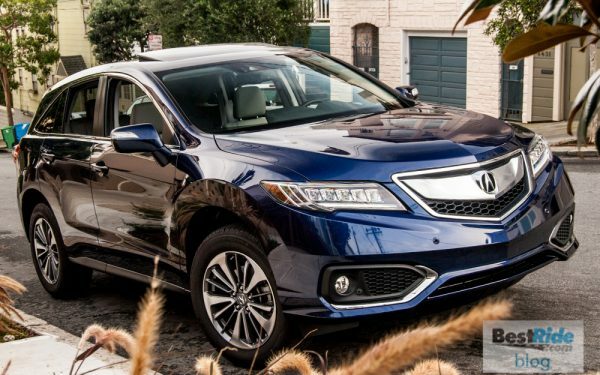 This is a smaller crossover and really more of a raised car than the other crossovers on our list. We felt it earned inclusion since in warm-weather urban markets where EVs are popular the lack of AWD and ground clearance is not an issue. The Kia Niro is an IIHS Top Safety Pick Plus. 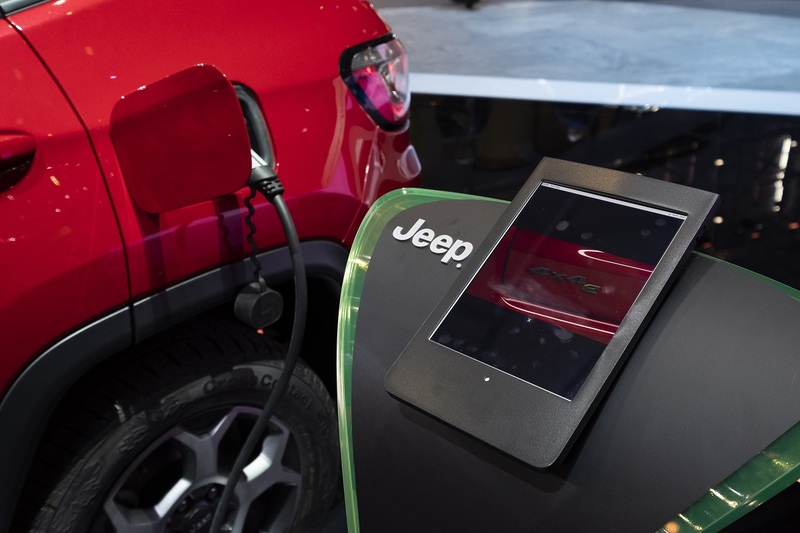 Jeep brought out two new crossover electric vehicles to the Geneva Auto show this month, detailed its EV plans, and also announced that its U.S. factories are being prepared for EV manufacturing. Both models will have AWD, will have a quick 0-60 MPH time, and will carry on the Jeep tradition of go-anywhere ruggedness. Watch for more on Jeep’s electric crossovers later this year. Ford has been keeping the new Escape electric vehicle quiet. Our friends at Autoblog caught the Escape EV in camouflage testing almost a year ago. We can’t wait to see Ford’s spin on the EV crossover. We love the Escape and we love the PHEVs in Ford’s line. Ford has the power to make the Escape PHEV in huge numbers if it so chooses. We hope it does. 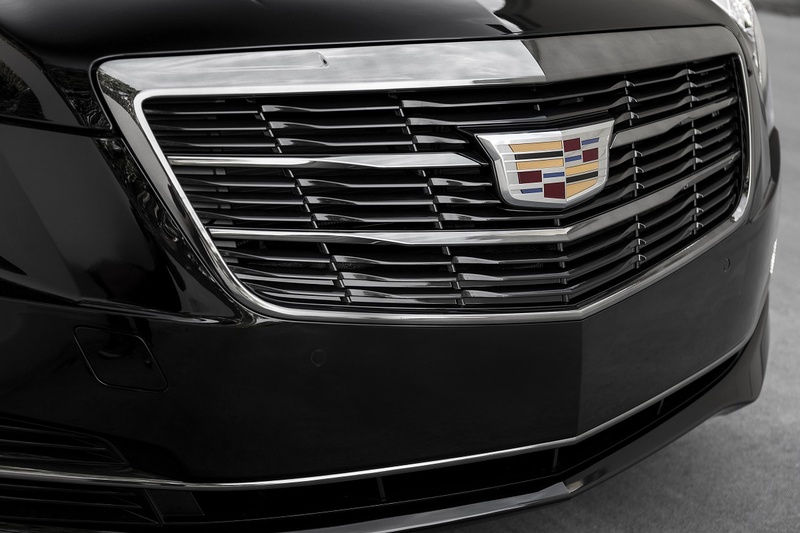 Note About Safety – IIHS ratings mentioned are for the conventional trims of the models mentioned. IIHS may not individually test the EV trims.